Although I haven’t had time or the desire to play any video games lately on my Mac. I did play some last Christmas break and had a hard time stopping once I got back on the horse. My game of choice remains Civilization III, which plays just fine on my old G4 PowerMac. One of my laments, and one common to many Mac gamers is the shortage of releases and the delays in releases. Well it appears someone has heard our pleas in this case. Although it is not out, and I actually learned about it from a banner ad on some Macintosh site, the expansions which allow multiplayer, are being ported to the Mac. Rather than selling them individually they are selling the whole kit and kaboodle as Civilization III Complete. I pre-ordered my copy. I also ordered WarCraft III and it’s expansion as that is Danna’s husband’s game of choice it seems. I’ve never gone for the whole “real time strategy” concept, I mean it definitely relies on hand eye co-ordination. Stephen Hawking would not make a good StarCraft player yet I bet he plays a fair game of Chess. None the less Blizzard is a good company which always seems to port their games to the Mac ASAP and their graphics and animations are top notch. I wasted too much time playing Diablo II which along with StarCraft is still popular in the Korean internet cafes. So Dave, Steve, Pat, and whoever else may have to sit down for the all day Civilization III challenge. I like the Greeks but I think my highest score was with someone who is religious. I have no idea about the expansion armies but I’m keen to try some particularly the Koreans or the Mayans. I think religious and industrious or better still religious and scientific such as Babylon is the ideal combo to my mind, but I still think my highest score might be with Egypt. I may start a game up tonight after dinner rather than blog. 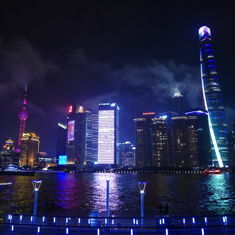 I want to play as China. Chairman Musk has a nice ring to it. 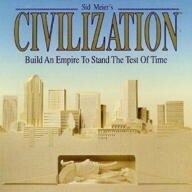 I’m not sure Sid Meier or Brian Reynolds had anything to do with the expansion. I know they both have their own companies now, but that the Civilization franchise remains with another publisher. If the port to OS X was ever completed Alpha Centauri might be my favourite game to play on my PowerBook. Showing just how out of it I am and how there isn’t as much need to upgrade hardware and software as manufacturers would like you to believe, it appears Civilization IV is out now for the PC. I just don’t buy the release cycles, I still haven’t played all the countries in the regular Civ III let alone the next dozen they added in the expansions. I guess as someone who owns almost every Sid Meier game, I’m not their target demographic, how’s that for customer loyalty. I mean I still have the 16 color version of Pirates that you had to insert into the drive to self boot. If you have any old strategy game recommendations you can leave them below. This entry was originaly posted on December 29th, 2005 , it was last edited on March 15th, 2019 and is filed under: Gaming and tagged: Blizzard, Brian Reynolds, Civ III, Sid Meier's Alpha Centauri, Sid Meier's Civilization.